For concrete applications, we offer an assortment of oils and solutions in bulk or in drums. Protection of fixed or rolling stock. 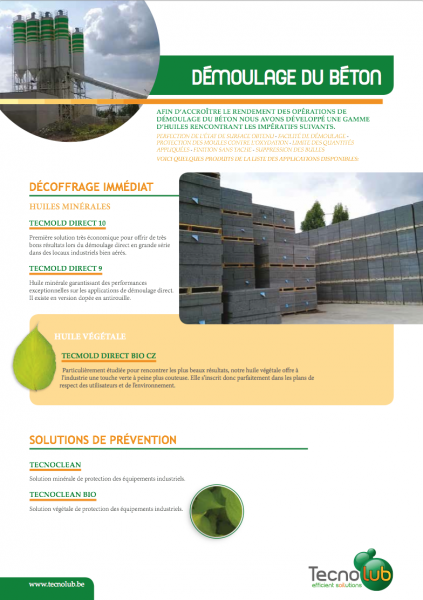 Download here our folder 'concrete specialities'.